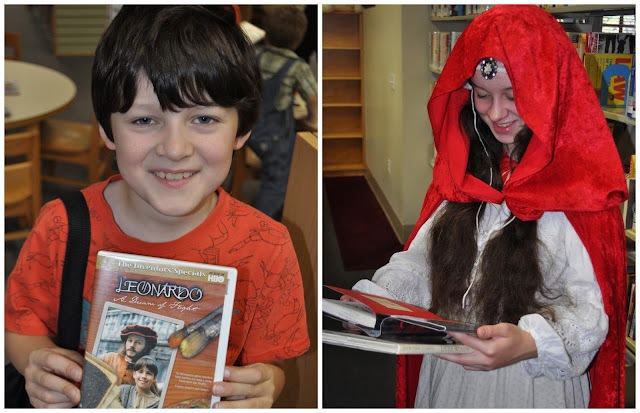 When I was a little kid, one of my favorite times of year was when the library summer reading program was running. Things have changed over the years and I'm not super thrilled with what our local library offers in the summertime, so my Mom and I came up with a fun alternative. One day each week, the kids and I pick up Grandma Christy and head for the library. Me, Grandma, and the babies sit in these comfortable couches while the older kids choose their books. Then we go back to Grandma's for snacks and sharing book reports. ...and making illustrations to go with them. At the library, I usually let them check out a couple of movies---they know I'll usually always say yes if it's something educational or historical---as those are the kinds I like too! After they've chosen their stack of books, they come find me and have me look them over for approval before checking them out. Our library is small, so I usually let even the toddlers go up and do their own checking out. It makes them feel independent. During our book report sharing time, each of us (even Grandma and me) takes turns talking about a book we've read and showing our illustrations. Then Grandma lets everyone choose a prize out of her treasure bags and we have snacks. It's a fun way to encourage the kids in public speaking and talking about the things they've learned. 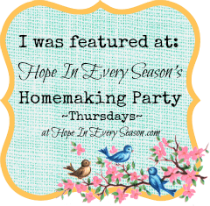 Thanks for joining us for the Homemaking Party! I love to feature some of the neat posts that are linked up---Please make sure and put my button or a text link on each blog post you link up. Lori from Hungry for God...Starving for Time is such an excellent story-teller. 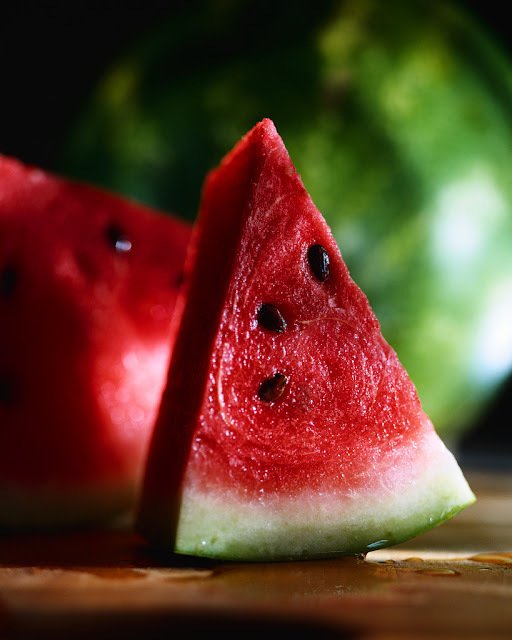 This week she shared a post called, A Yankee in Watermelon Heaven. It was just neat and you should read it! 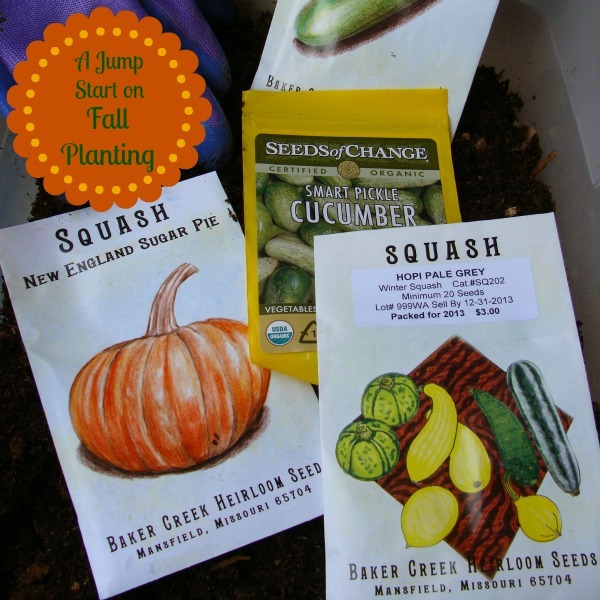 I also really liked this great article about getting A Jump Start on Fall Planting from Let This Mind Be In You. Thanks, Kristi! Taking my daughter to the library was one of my favorite things to do, too. Looks like so much fun! Thanks for hosting. Thanks so much for hosting! You posted some very good ideas for the library books! Oh how fun! Looks like grandma was having fun too! I remember our library days when the kids were little. I miss our trips and seeing the joy on their faces when they found some great books. Everyone is having fun here, specially grandma and those adorable children! What a great idea, I just love it! Thanks for this fun party sweet friend. Thanks so much for hosting, Sarah!! I always enjoy seeing your wonderful family!! We have library days, too. In fact, the children are rushing around now to get there. It's the highlight of their week when we doing school. Thanks for the link-up, Sarah. I don't know where I've been, missing yours! I thought it was mostly DIY and crafting, and I don't blog about that so much with a lack of time to actually craft. :) Have a wonderful day! Hi Sarah! Thanks for hosting another great link-up! 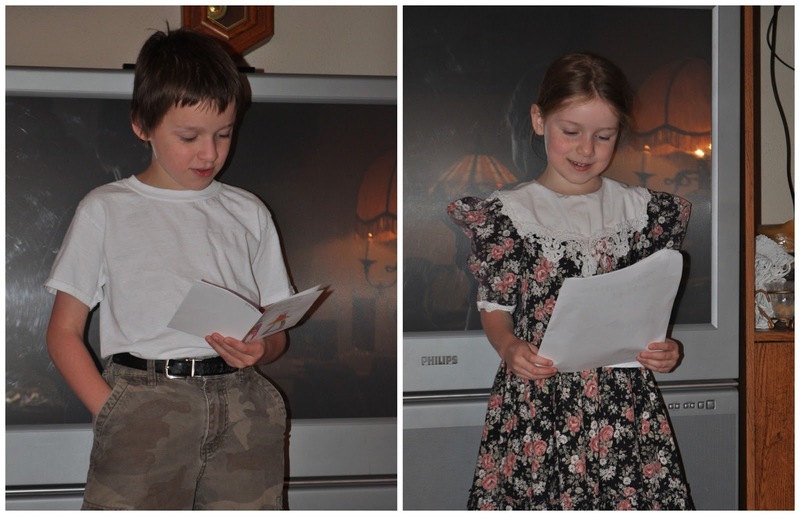 What a wonderful way to make memories with your children and teaching them a love for the written word. Your daughter is a very skilled artist. This is awesome you can do this with your children. I could never get my boys to follow a school schedule at home so, I admire those that can! It took awhile for me to find information about the , 'and for the angels' part of that scripture but when I did, some things that had been happening made total sense. There is a good group on Yahoo for head covering ladies; Prayercoverings3. The ladies there are wonderful. Some new, some who have been covering for over 23 years. Thank you for the invitation to Facebook but I left them a few years ago because of their changes to their privacy policies. Love your blog. God bless! We love the library! Thanks for this great reminder and for linking at Family Fun Friday! Summer Reading Program is a highlight in our household, although this year they changed it to where it has nothing to do with reading - its all about attending their "programs". Needless to say I was NOT pleased with the change so we opted out this year but still reading tons! This is the first time stumbling on your blog hop, also. Can't wait to post on it! Looks like you guys have fun! Unfortunately, our library has drastically shortened its hours due to budget cuts, so we sometimes have a hard time getting up there. But when we do, it's fun! And I can't wait until my kids are a little bit older so that they can roam around and choose books as well. So nice to connect with you, Sarah! One of the best places to take a kid is the library. So much to do and learn! Thanks for sharing with SYC. I miss these fun times... love mom.